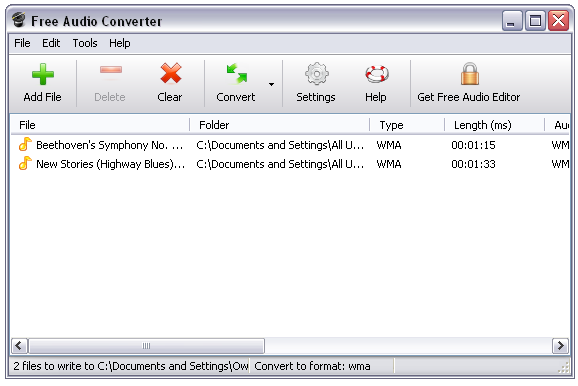 Free Audio Converter is a completely free audio converter for Windows. Convert audio files from many different file formats to mp3, wav or wma. For example convert wav to mp3, mp3 to wav, wma to mp3 or many other formats. Just add the files you want to convert, select the output format, and then click convert. 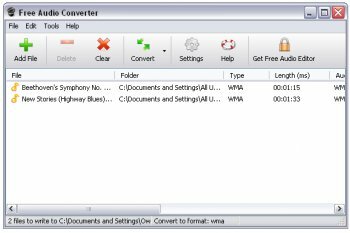 Free Audio Converter is not simply an audio converter, it is the most comprehensive and stable sound file converter program around.